It is an annual delight when Spring arrives. Everyone gets excited. It means saying good-bye to cold temperatures, long dark days and being inside. 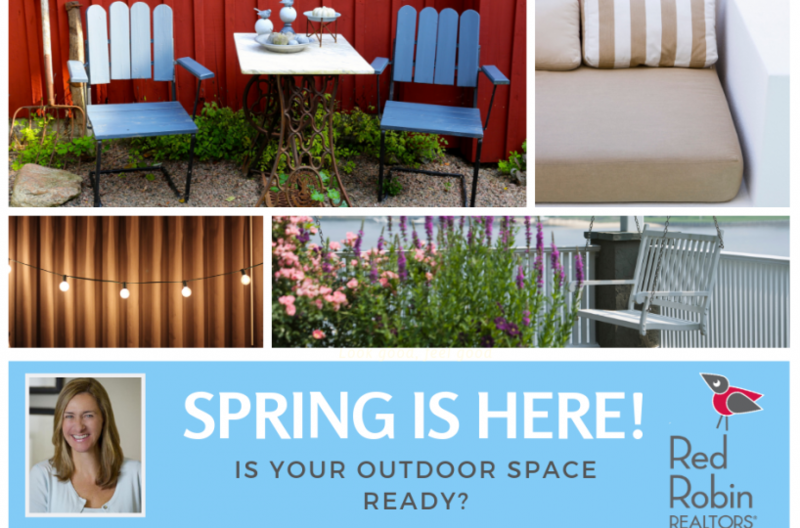 In Atlanta, the thought of spending the next nine months outside brings joy and with so many homes featuring inviting front porches now is the time to get your own outdoor space ready to enjoy. And it doesn’t have to be expensive. The winter weather can leave a front porch looking rather drab. A good cleaning can bring it back to life. Start by sweeping away the debris on the walls, ceiling and of course the cob-webs. You will want to remove the screens from the windows and then give the entire porch a gentle washing including the screens and windows. Drying the windows with an old newspaper will make the glass in the windows spark without the streaking. With the porch cleaned you are ready to add some color. Give yourself a theme or a color scheme you really like and keep it simple. A great pop of color is to make the front door your focal point with your favorite paint color. Black front doors are trending now on white farmhouse style homes but, so are teal colored doors on brick ranches. Pick the color that makes you smile and you will be thrilled to walk through the front every day. You will need at least one seating area depending on the size of your porch. Keep your furniture choices to scale. You could start with a small coffee table flanked by a couple of chairs. A swing is always fun whether it is a glider or hanging from the ceiling. And they don’t have to match. The look will be pulled together by adding porch ‘jewelry’ in your color scheme. Now is the time for the porch ‘jewelry’. Throw pillows and plants can make your porch feel cozy. Keep the pillows in your color scheme to pull the look together and toss them on the chairs. Large ferns flanking the front door just spell welcome and bring a bit of nature to the front door. As a finishing touch, you will want to add some lighting. Patio string lighting is great for a warm glow or even a small table lamp that compliments your color theme will make your refreshed front porch feel inviting and comfortable. Now is time to sit back and enjoy an adult beverage on your outdoor oasis. Hello Spring! Leja LeBar is a long time Grant Park resident and currently a Realtor with Red Robin Realtors. She has spent many years in the real estate business working with Nest Atlanta Real Estate Group, Atlanta Fine Homes Sotheby's International, Keller Williams Intown Atlanta, Dorsey Alston and Digs Realty. 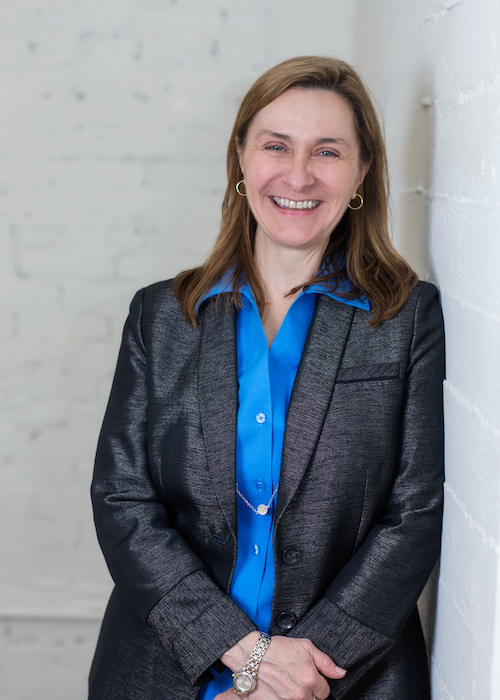 She’s an expert on intown neighborhoods, both well established and newly emerging, and everything in between. Leja loves being a “dream maker” – whether her clients are buying their first home or selling their tenth. Plus, she makes the whole process, from open house to contract closing, feel like fun. (Relax. Enjoy. Really.) She is an Associate Broker, member of the Georgia Association of Realtors, National Association of Realtors and EcoBroker Certified. You can reach her at 404-788-8050. Robin Egg Ice Cream…a Spring tradition at Morelli’s!